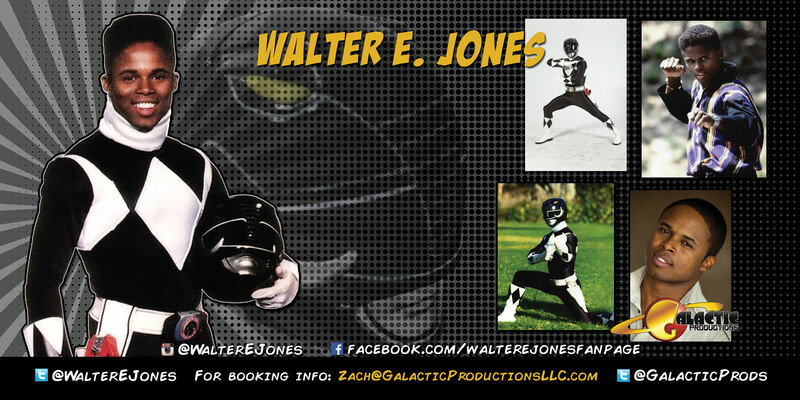 Walter E. Jones played the character of Zack Taylor, the original "Black Ranger" in the Power Rangers series. Jones returned to Power Rangers in the Lost Galaxy season (1999) where he played the voice of Hexuba's Nightmare Monster in the episode "Dream Battle"; he also acted in an episode of Power Rangers: Wild Force (2002) entitled Forever Red in which many previous Red Rangers teamed up. Again, he did not appear as his original character, Zack, but rather provided the voice for one of the antagonists, a general in the Machine Empire named Gerrok. He was also one of the special commentators, along with fellow co-star Amy Jo Johnson, on the "1993" episode of I Love the '90s. He also reunited with Austin St. John (with whom he formed a close friendship during their time together on the show) as co-host for a special airing of the original pilot episode of Power Rangers called "The Lost Episode".